If you have tried purchasing the Nexus 4, the latest Android flagship by Google, you almost certainly bumped into the wonky experience that was Google Play. The phone would first show as available but the purchase won't go through, and then when you refresh you'd see the earlier “Notify me” page that might have made you wonder whether that phone has sold out. Then, we made sure to clarify – seeing the “Notify me” page again does not mean that the phone was sold out, instead it was a fail of Google Play to properly display the needed page. 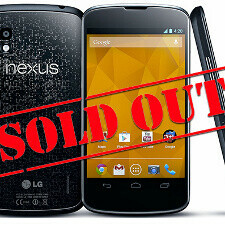 However, not long after it launched, the Nexus 4 has now “officially” sold out in the United States in both its 8GB and 16GB versions. 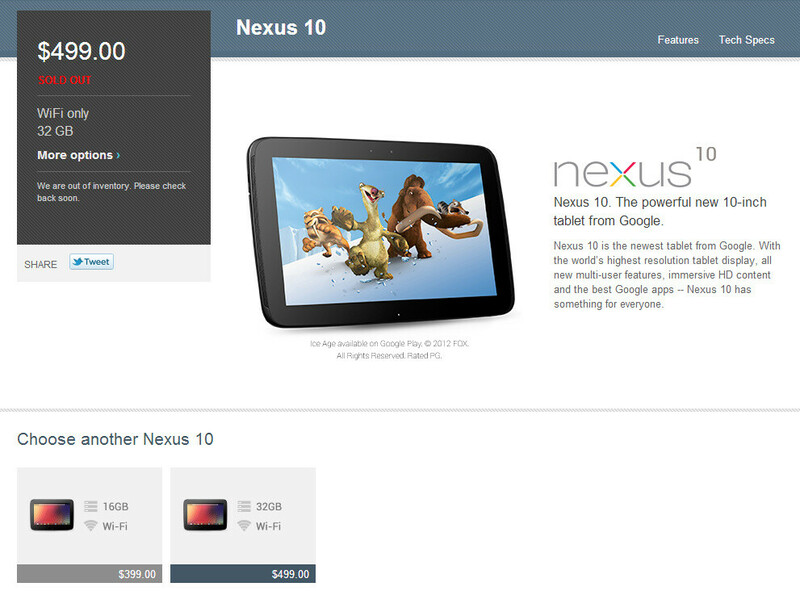 The Nexus 10 32GB has also sold out, but there is still stock of the 16GB Nexus tablet. You can still buy the Nexus 7 in all its versions including a cellular data one. While we still don't know how many devices Google Play had in stock, it's clear that there is a lot of excitement about the new Nexus phone and tablet. Hopefully, supply will be able to catch up to that fairly quickly. What's beautiful about the Nexus products is it won't eat up your whole paycheck. Oh, wow. I guess the question now is whether or not this is a good or a bad thing, in reference to how quickly these devices sold. GOOGLE Please Disclose the sales figures and shut up the Apple fans!! For your information, Google sold less than one million SGNx; all this information was disclose during the Apple vs Samsung. 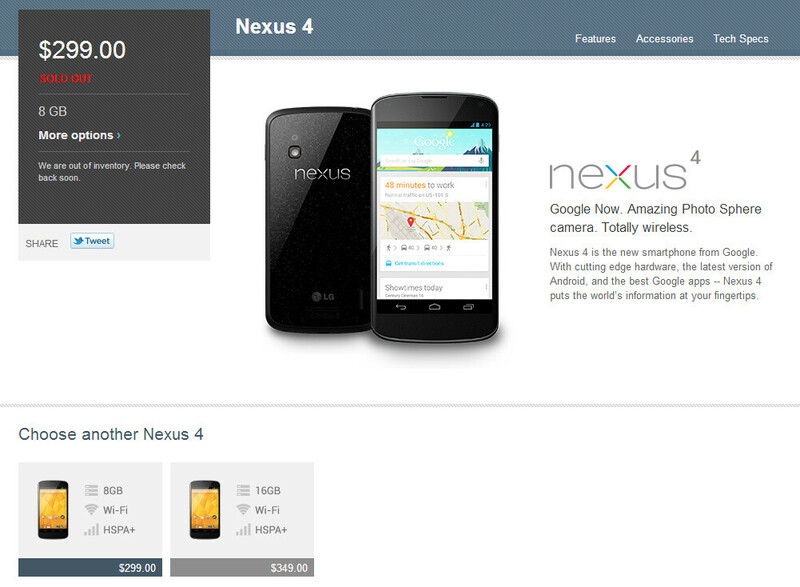 If lucky, they might sell a little over a million Nexus 4, but I doubt it. Geek appeal doesn't translate to sales. Nexus devices are known only in the tech world, simply stated. Is all about marketing, and brand recognition. Most peep don't even know what version of Android is inside their S3; all they know is having seen it during an NFL game. Is it available on Google Play Canada? I got my Nexus 4. I had to refresh the page about 500+ times, but I finally got one to add to my cart and go through the payment process. I got a 16gb version yesterday at about 1:45pm est. time and then an 8gb version for a friend at about 2:20pm est. Site went live at about 11:45am, so 2.5hrs of refreshing the page lol! That was fast but no surprise though. It's a nexus after all..